I used For Always patterned paper. The stamp used for the front of the band holding the card together is Perfect Fit Frames, which was cut using the Art Philosophy cricut cart pg 67, 2 3/4 inches. 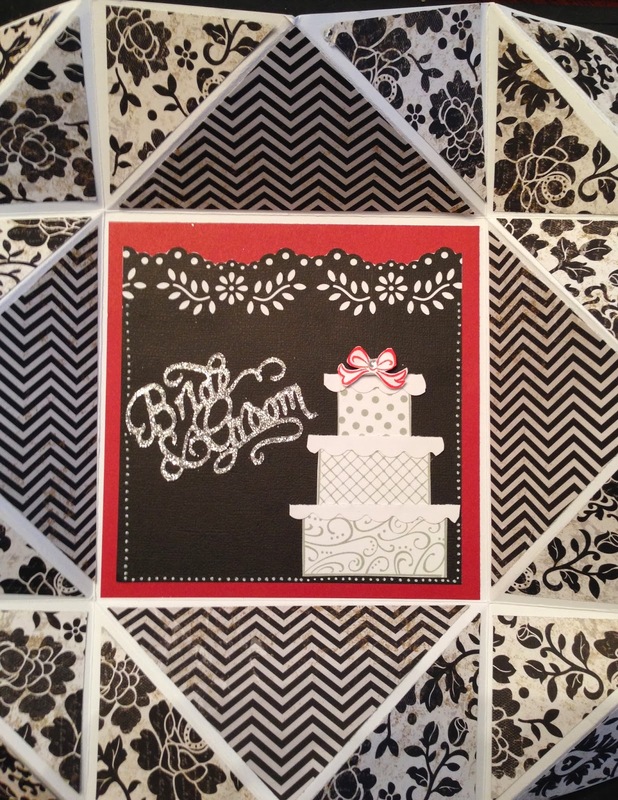 I stamped in black ink and the sentiment is stamped in Holiday Red using the Affections stamp set. This view shows how the card looks once you take off the band that holds the card closed. Here is the inside of the card. I used the Happy Couple stamp set with the cake stamped in Whisper ink. I stamped the bow in Holiday Red an fussy cut it. I used a bitty sparkle in the center of the box. I added a decorative edge using my Martha Stewart punch. The sentiment "Bride & Groom" was cut from the CTMH Artiste cricut cart page 61using glitter paper. 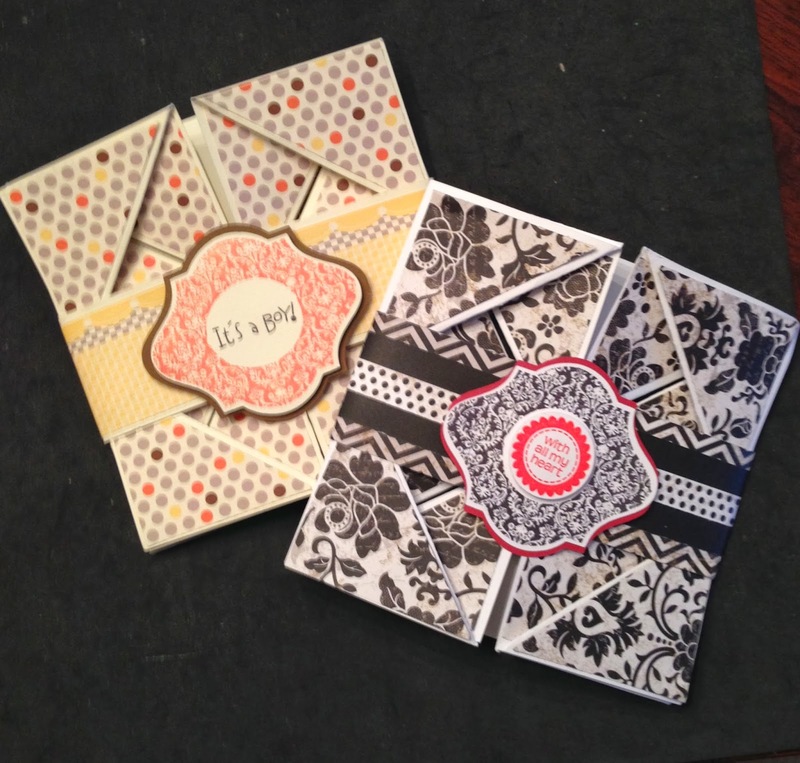 I used the CTMH Chalk Marker to place dots around the border of the black card stock. 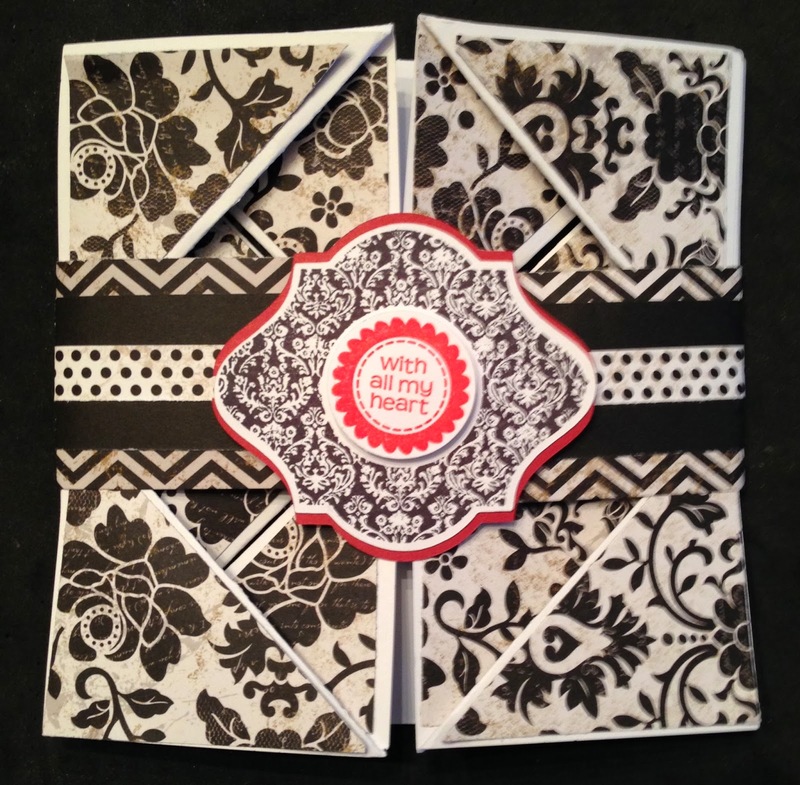 I used the same Napkin fold design using Babycake paper. 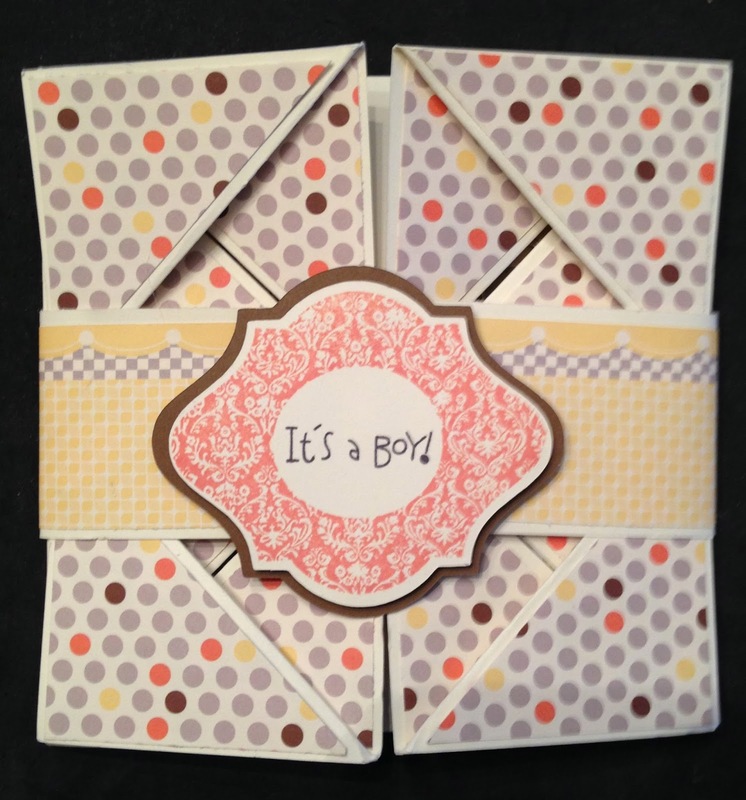 I used the Perfect Fit Frames stamp set with Sunset Ink. The "It's a boy!" 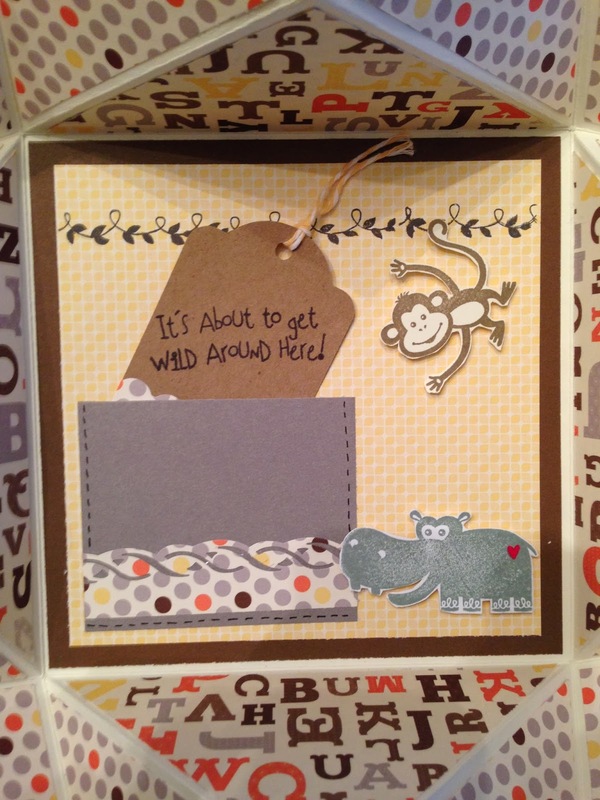 sentiment is from the Wild Wonders stamp set. I love how both of these cards came out. 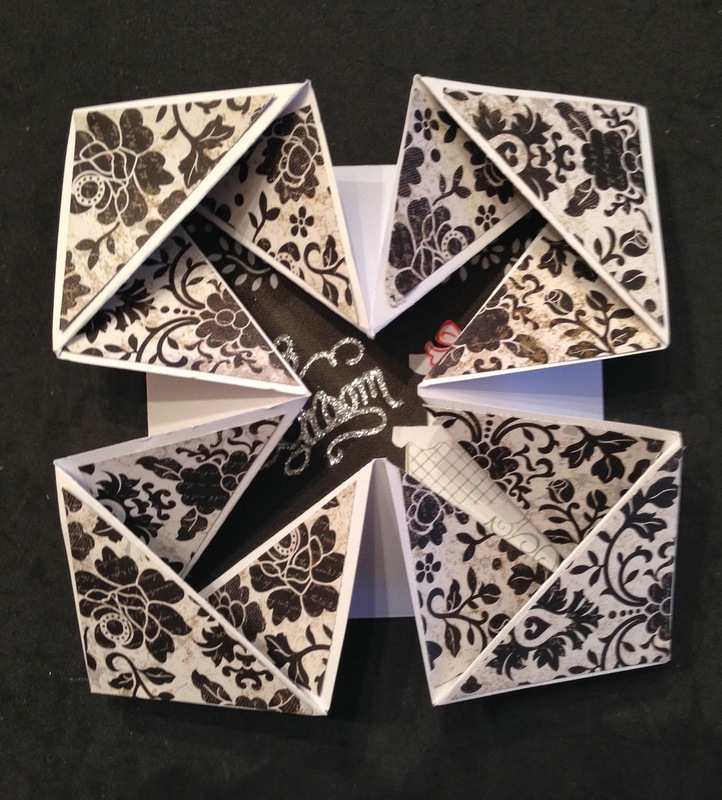 I hope you are inspired to try a Napkin Fold Card. Thank you for stopping by and Happy Crafting! Awesome folds!! I've never seen this kind of card before! TFS. Thank you La-Vie!! It is amazing how many folds are out there! !